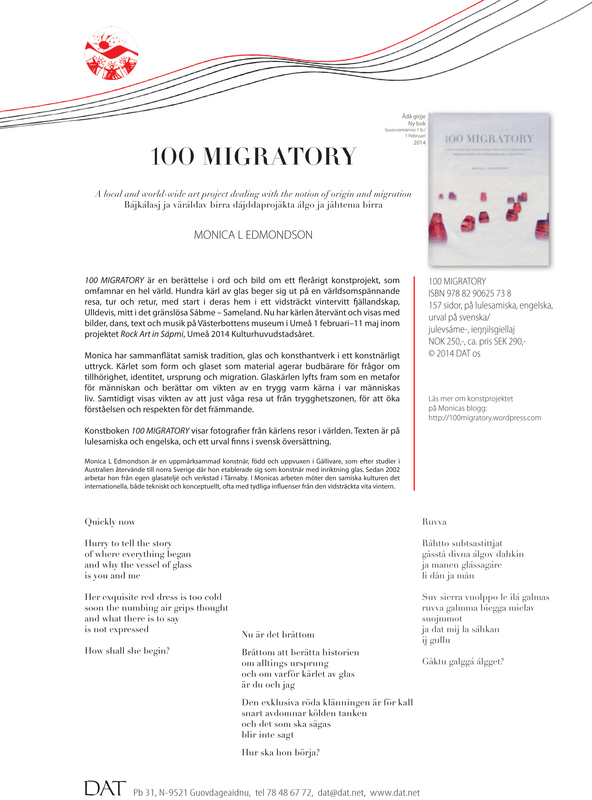 The book 100 MIGRATORY has sold out and the publishers DAT are out of stock (updated March 2015). 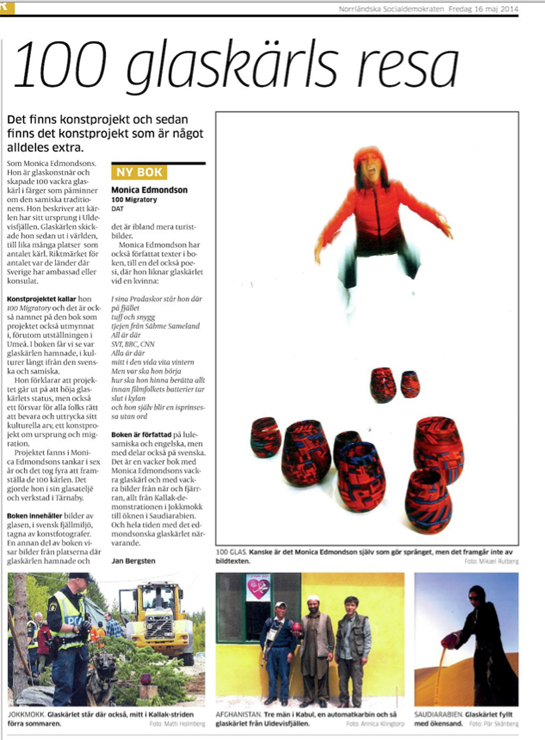 There might still be a few copys left at Bildmuseet or Västerbottens museum Umeå. 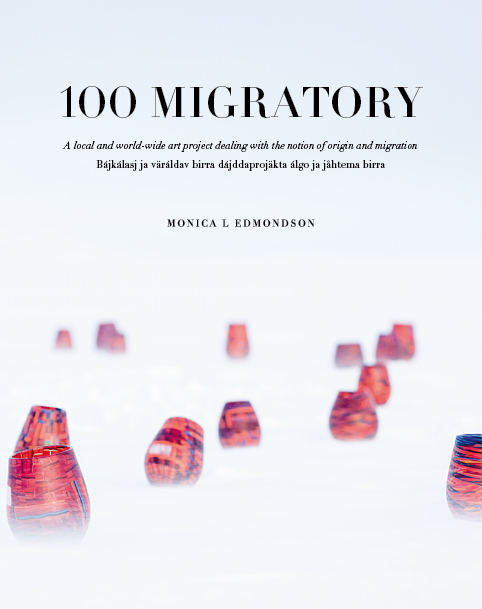 The book is 158 pages written in English and Lule Sami and some texts in Swedish.